According to EdTech Magazine, over the last 13 years 5.8 million people take online courses nationally. Valley Heights is a part of that 5.8 million. Even with online courses it is necessary to have teachers running the class. New online teacher at Valley Heights, Katherine Gregory, teaches both Spanish I and II. When Gregory started teaching it was not online. She began her teaching career at Jayhawk-Linn in Mound City and then transferred to Southeast in Cherokee. While she was at Southeast, she had the opportunity for an introduction to online teaching by simultaneously teaching her class while teaching 8th graders over Skype, which had its faults because she couldn’t decipher one face from the other. 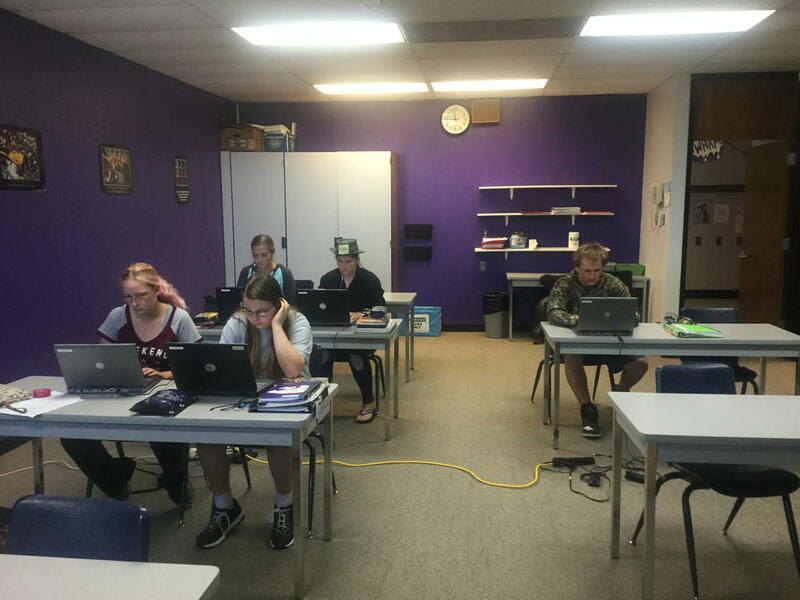 She took a few years off and then came back to teach this year and since Interface Definition Language (IDL) technology has improved she can view a class as if she is in the room with them. It has always been her dream, while living in Kansas, to work for Greenbush, witch is where she does her online teaching. She believes that life is too short to waste time by just being an average teacher. Greenbush expects nothing less than excellence and she wants to do the same. She is excited to grow the program and meet all her new students. “Being in Spanish has been a blast, especially with it being online. I like that we use a website for our assignments and I look forward to the rest of the year!” said Spanish student, Seaira Nordquist.